Some of the most fun to watch racing series suffer the problem of one race being exponentially more important to the masses than all the others. We all get excited for the Indianapolis 500 or Le Mans and then the rest of the season goes out with a whimper. Doesn’t it make more sense, then, to schedule The Big One as the season finale? Take, for example, the Indianapolis 500. Finally, IndyCar looked beyond the state borders of Indiana to go all out for internationally beloved racer Fernando Alonso’s run in this year’s Indy 500. 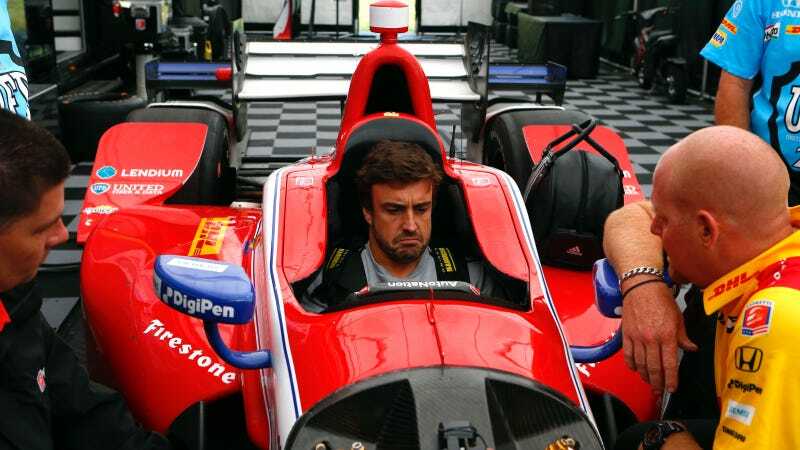 Alonso’s Indy 500 run is finally bringing more attention back to IndyCar. But will that buzz last after the 500 is over? Promisingly, Alonso told Racer over the weekend that he wants to return to the Indy 500 until he gets a win. McLaren has also expressed interest in doing more with the series. That being said, keeping eyeballs glued to IndyCar after all the fanfare of the Indy 500 is a tough ask. Last year’s landmark 100th Indianapolis 500 averaged 6 million television viewers for its live broadcast on ABC, per Sports Media Watch. But the post-Indy-500 decline in viewership was still sharp despite the extra buzz for the 100th Indy 500. IndyCar’s fan-beloved return to Road America in June only averaged 470,000 U.S. viewers per Racer, and its season finale averaged 536,000 U.S. viewers according to Sports Media Watch. Ouch. Lest the usual numbers-are-mean-to-IndyCar jabronis think we’re picking on their favorite series, the World Endurance Championship suffers much of the same fate with its own leg of the Triple Crown of Motorsport: the 24 Hours of Le Mans. Sometimes it can feel as if the early races in the WEC season don’t even matter, as some teams sacrifice potential advantages at the early tracks to focus on how to win Le Mans. At first, I wondered if the solution would be to get the big race over with at the start of the season, similar to what NASCAR does with the Daytona 500. But these other series feed on the speculation, chit-chat and endless stream of hot takes about The Big Race to stay in the public’s attention. So, should series that have one legendary, historic race that gets far more attention than the rest of their season shuffle their schedules around to make that ultra-important race to the end of their season? Think about it: that’s one whole season of wondering which fan-favorite racers from elsewhere are going to join in and what cars are developing nicely. It’s hard to tell yet whether the Alonso Bump had any effect on people tuning in to this weekend’s IndyCar race at Barber since viewership numbers haven’t been released yet. However, I suspect it did something. Admittedly, this is an anecdotal observation, but I’ve noticed F1 fans who wouldn’t usually think twice about a regular-season IndyCar race who are glued to the Where In The World Is Fernando Alonso? show. Making the big race a May/June season finale might just draw out the buzz surrounding those races for a bigger chunk of the season. Who knows? More people might even start to care more about the season-long championship while they’re at it. I mean, they’d already be tuning in to that legendary race anyway.